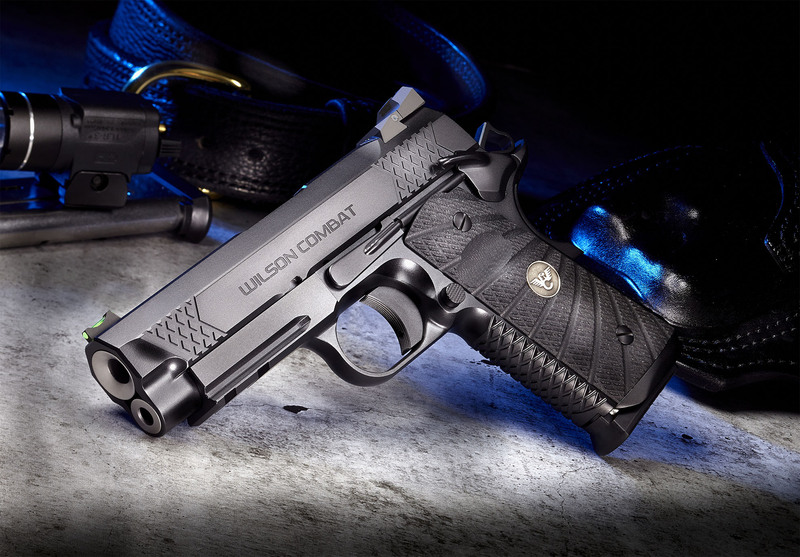 Enhanced for hard use and everyday concealed carry, the Wilson Combat EDC series is the latest in our evolution of the 9mm 1911 concealed carry pistol. 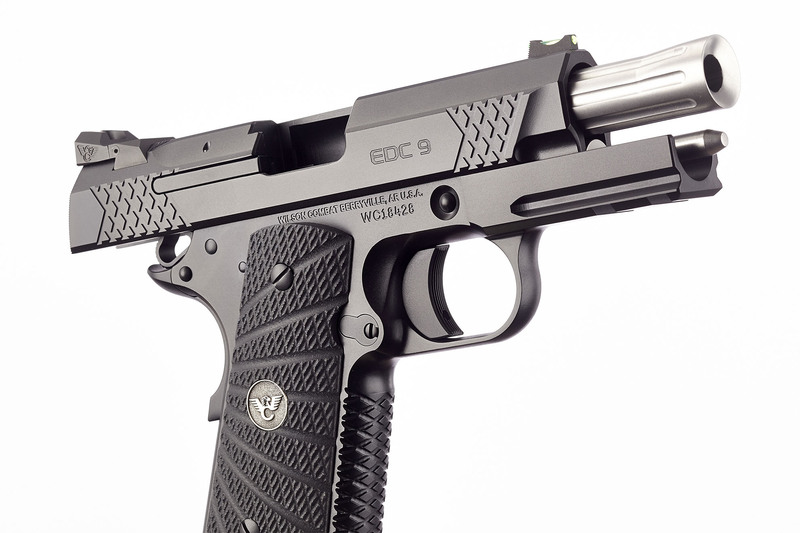 The EDC series brings 9mm 1911 concealed carry handgun performance to new levels of reliability. 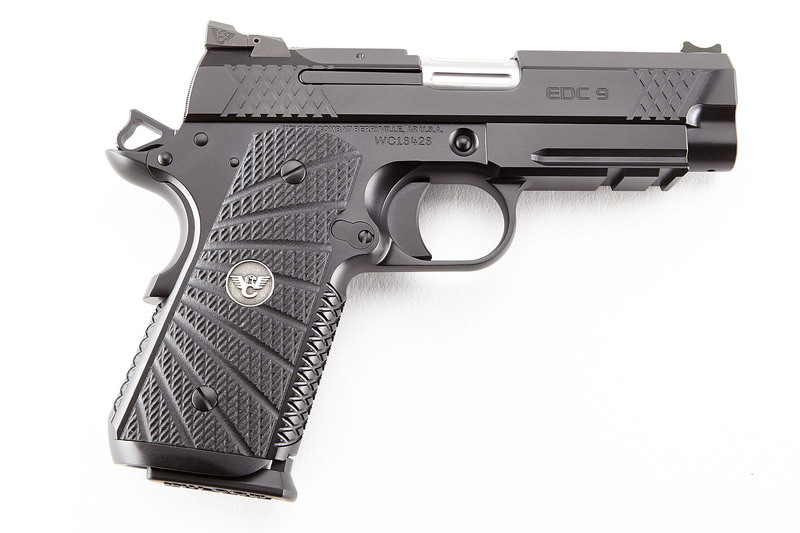 Based on customer feedback from building custom 1911’s in 9mm caliber for sport and defense we are pleased to announce these new models that incorporate Wilson Combat’s “Enhanced Reliability System” (ERS) to the 9mm 1911 platform. The “ERS” includes: Robust spring-loaded external extractor that improves extraction in all conditions with all types of ammunition; A match grade, fluted barrel with single lug geometry to reduce cycling friction, enhance slide velocity, and improve feed reliability; Removal of the frame rails around the mag opening to further reduce friction and promote function in adverse shooting environments; A low mass, Tri-Top slide profile for reduced muzzle flip and enhanced cycling; And a user replaceable front sight and rugged new elevation adjustable Tactical Battlesight with click adjustments to easily adjust vertical point of impact. These design modifications, combined with our latest generation of 9mm Elite Tactical magazines results in a 9mm everyday carry pistol with all the cosmetic and ergonomic benefits of the 1911 design with none of the historic reliability limitations.